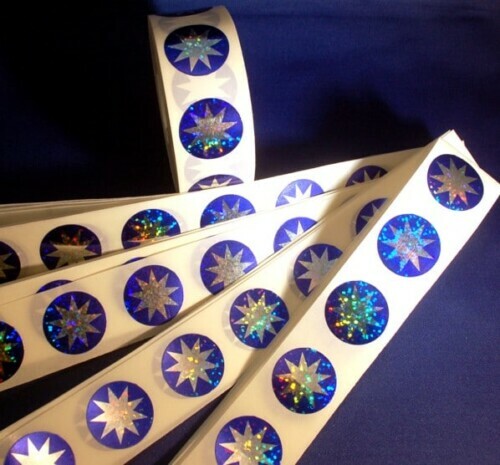 Kids will love these 1-1/4″ sparkly 9-pointed star stickers! They catch the light and send rainbows of color dancing across whatever surface you put them on. Wear them, use them as awards, decorate things like notebooks, water bottles, bicycles, and laptops, or use them for crafts to make jewelry, pencil holders, prayer book covers or art projects. The more the sparklier! 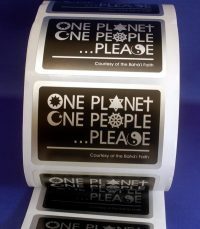 They are also great for wrapping Ayyam-i-Ha and Naw-Ruz gifts. Use them instead of tape, or add them to tissue paper to make Baha’i wrapping paper. I use them to seal envelopes. It is like sealing them with a Baha’i prayer! 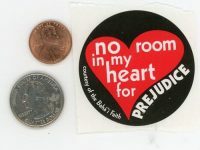 The new 1-1/4″ stickers look exactly like our old 1″ stickers, but are larger and cost the same. You’re welcome.